Amazon Web Services offers one year of free virtual server space, provided you use less than predetermined amounts of bandwidth, time and space. Even if you go over that limit, the cost of running a server image on Amazon’s Elastic Compute Cloud is probably less than you would pay for a VPN subscription. 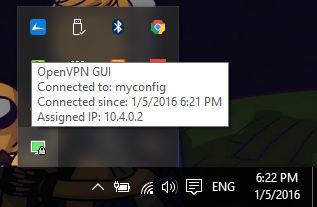 You’ll need edit the security group to only allow traffic from your computer to access the VPN or proxy. You should have one rule already in place for connecting to your server via SSH, which we’ll use later. 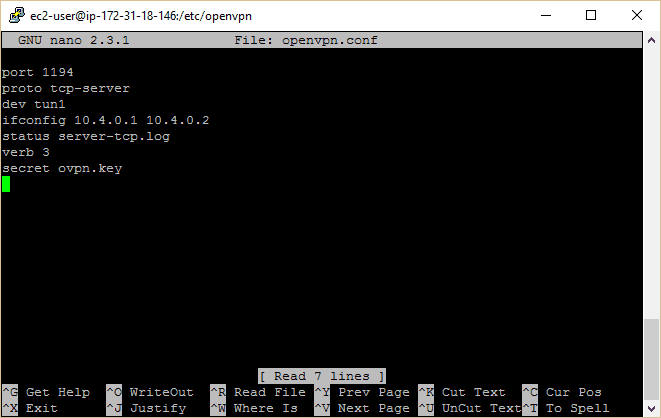 We’ll need to add another to allow OpenVPN connections, which use port 1194 by default. For simplicity’s sake, under the Inbound tab, click the Add rulebutton. Set the Type to Custom UDP, the Port Range to 1194, and the Source to Anywhere. 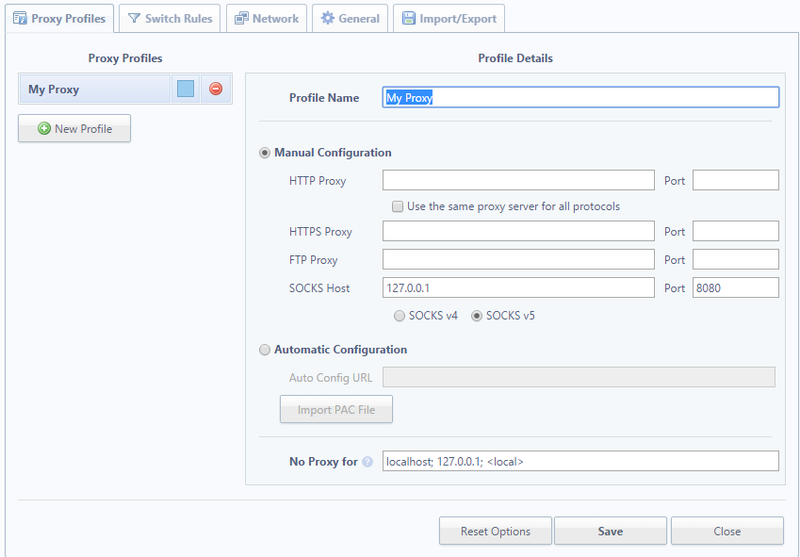 To begin with, we’re just going to reroute web traffic through the instance we created using SSH tunneling and a proxy. This is a quick and dirty way to get around a firewall or geographic lockout. It’s not quite a VPN–it’s best for light web traffic and won’t work with everything–but it’s much more simple to set up. 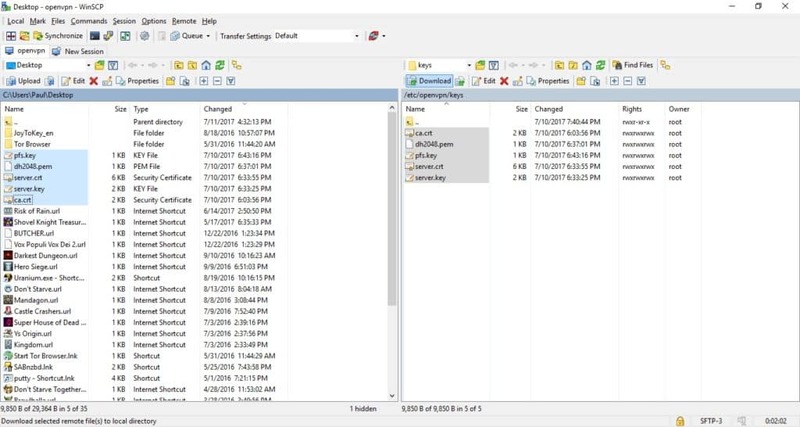 This tutorial will explain how to interact with your instance using Windows. To do that, you’ll need to download PuTTy and PuTTygen. 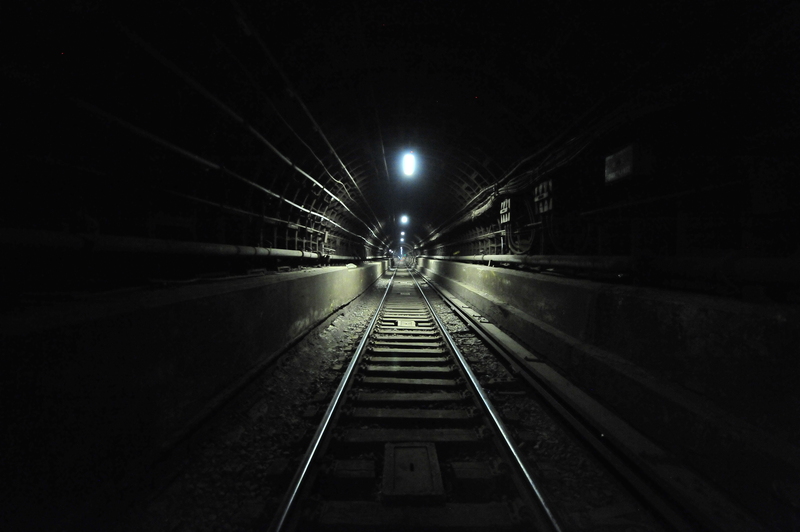 Navigate to Tunnels in the left pain. Add port 8080 with Auto and Dynamic selected. Go back to the Session page and hit Save again so you don’t have to do all this over again. Click Open. A prompt will appear asking you for a username. This differs based on what type of server you set up at the beginning. 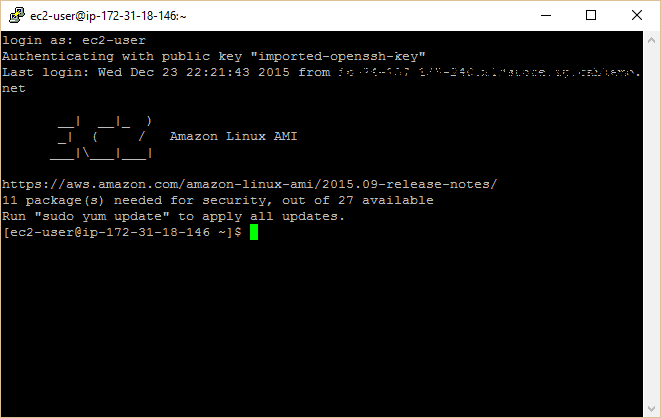 For the Amazon Linux AMI, it’s “ec2-user”. The second command creates a directory with all of the working files we need to set up our certificate authority. Notice the user is now “root” instead of “ec2-user”. 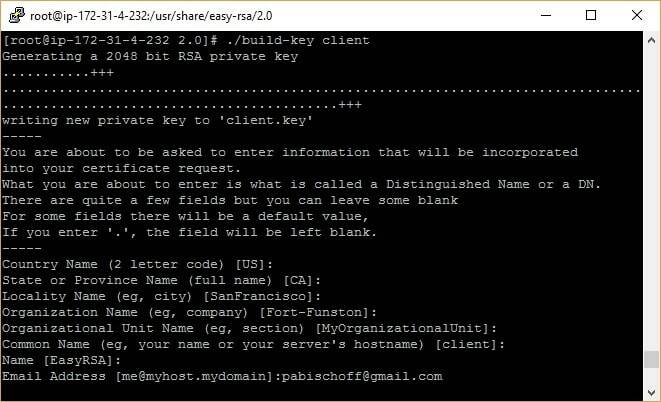 Now to use easy-rsa to generate up certificates and keys. Enter each of the following commands one at a time. Many will ask you to fill in details about your occupation and company. You can leave these as default just by hitting Enter. It makes no technical difference so long as you’re using this as a personal VPN. When setting up the server key, we recommend not setting a password so that OpenVPN can start up unattended. Setting a password on the client key will force users to enter a password before connecting. In this tutorial, we’ll only be setting up one client. 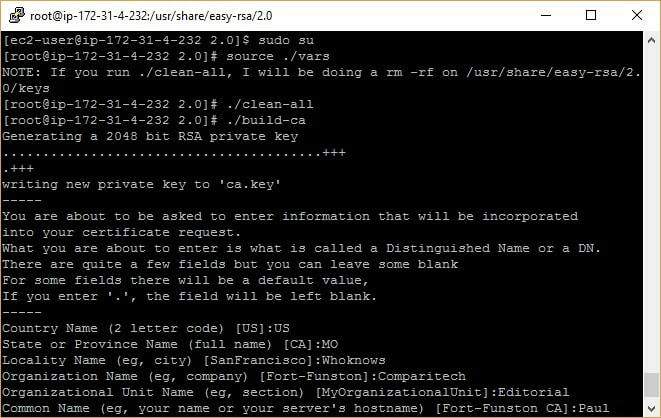 You now have all the RSA keys and certificates needed, but you still need to generate a TLS key to be used for Perfect Forward Secrecy. This will ensure that if a key is compromised it can’t be used to decrypt past sessions. 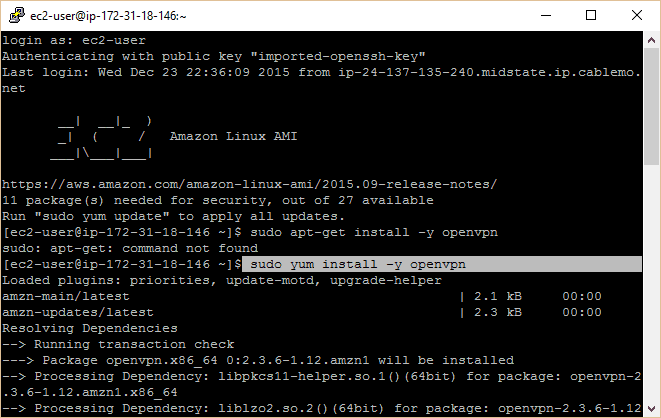 With all of the files ready, we need to move them into the OpenVPN directory. 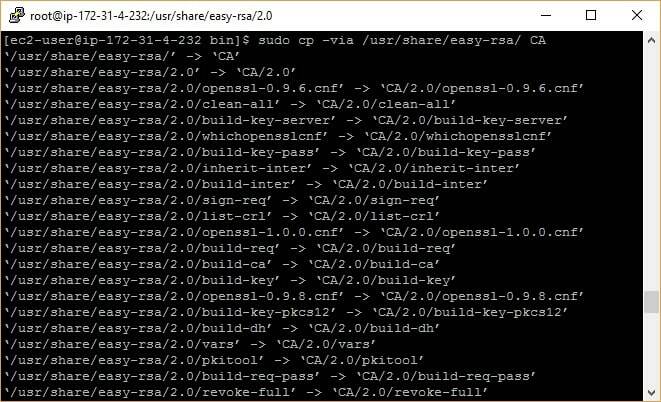 First we’ll create a keys directory, then copy all of the keys and certificates into it. Check out this StackExchange thread to learn how to save iptables configurations so they automatically restore upon reboot. Now that the server is configured, we need to set up the client. To do that, we’ll have to move the necessary certificate and key files from our server to our client device. With PuTTy still open and running as root, we first need to change the permissions on these files so that we can access them. Select myvpn (or whatever you named yours) and hit the Edit button. Type in ec2-userunder user name. Click on Login. 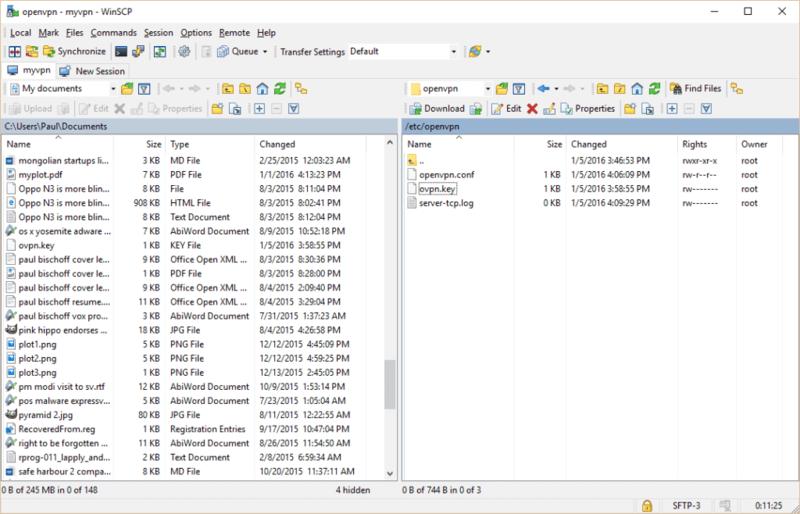 If this isn’t your first time using WinSCP, you can set the .ppk file you used in PuTTy by clicking Edit and Advanced. 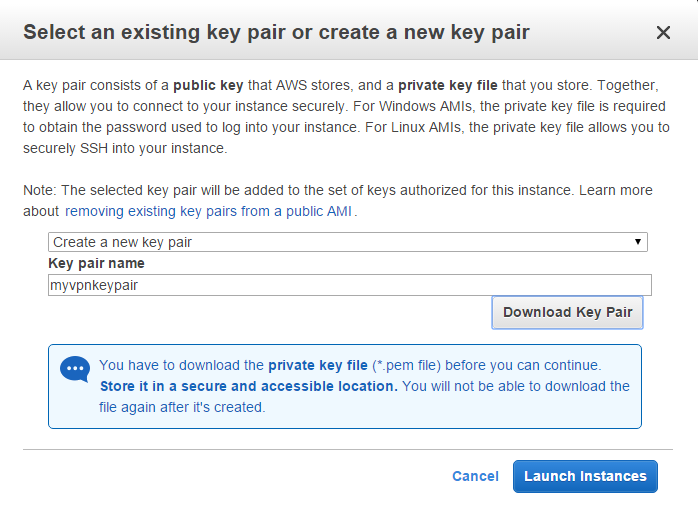 Go to SSH > Authentication > Private key file and navigate to your PPK file. In the host name field on the main page, you can enter either the IP address or domain of your EC2 instance. Be sure to save your settings. Highlight the five files you’ll need on the client: client.crt, client.key, ca.crt, dh2048.pem, and pfs.key. Hit the green Download button. It doesn’t really matter where they go on the left pane so long as you don’t need admin priveleges to access it. We put the files on our desktop for simplicity’s sake. The last loose end we need to do tie up is removing the ca.key file from the server. The CA, or certificate authority, is used to sign client certificates,and, if it is ever compromised, you can never trust certificates issued by that CA again. While this isn’t necessary for the VPN to work, we strongly recommend doing it. 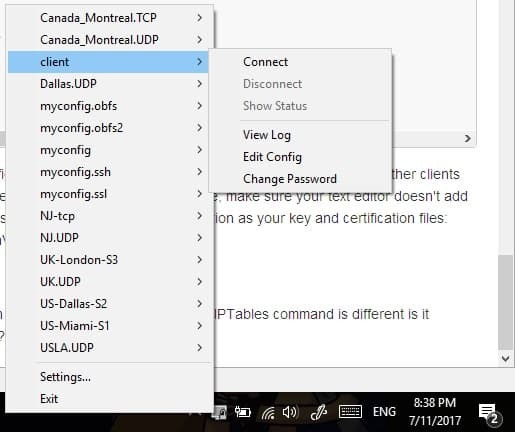 Make sure you’ve all the keys and certificates for every device you want to connect before removing the file. If you want to add more at a later time, you will have to move the ca.key file back onto the server. We’re going to move the file onto our PC in the same way as we did for the client certificates and keys. 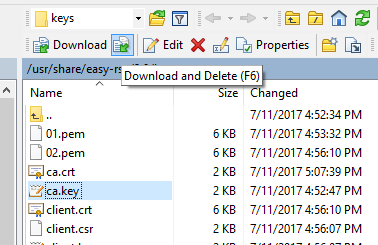 This time, however, instead of using the basic “Download” button, use the Download and Delete button to move the ca.key file from your server to your PC. Store it in a secure location. 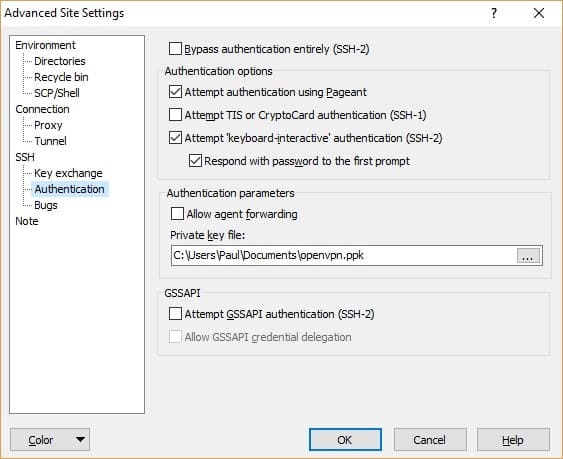 Now run the OpenVPN GUI in administrator mode by right clicking it and selecting Run as administrator. 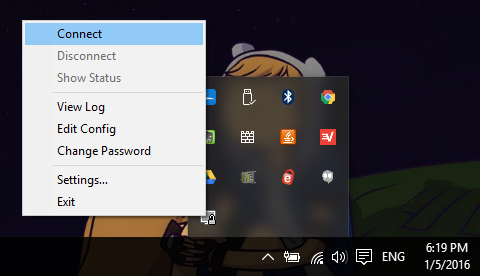 Right click the icon in your system tray and connect with the clientconfiguration we just set up. A status screen with loads of text will flash across the screen, and then the icon will turn green. Next we need to create a config file for the local machine to match the one we made on our server. 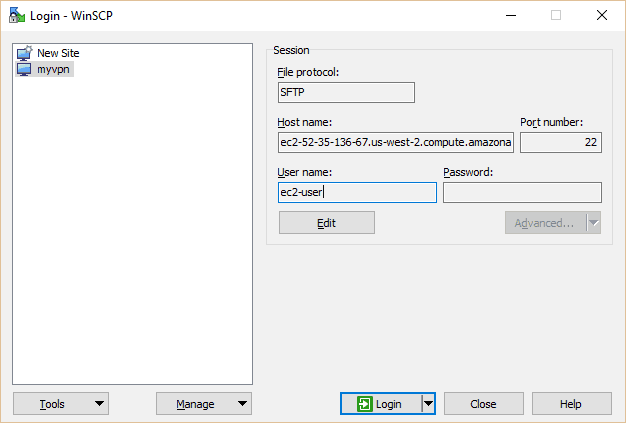 Open up Notepad and paste the following, replacing the IP address after “remote” with the IP of your EC2 instance (if you’ve forgotten it, find it in your AWS Console under EC2 Instances). Also double check that the full file path pointing to your key is correct.